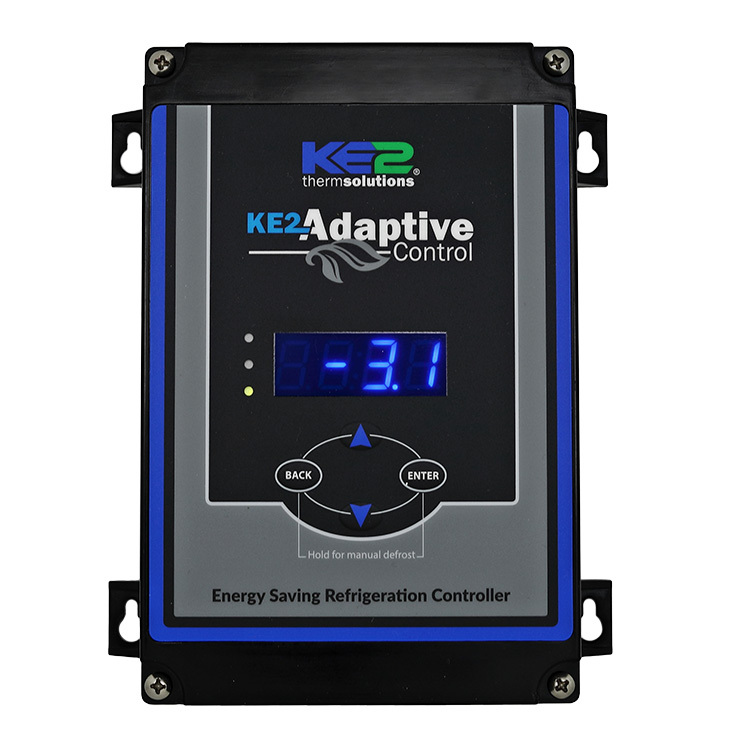 “It’s easier to wire and understand..."
The addition of energy saving demand defrost capability in the KE2 Low Temp + Defrost programming is so significant, it prompted a name change – Now, the KE2 Adaptive Control. The KE2 Adaptive control incorporates the same demand defrost feature as the KE2 Evaporator Efficiency, which is third party verified to save energy. The KE2 Therm defrost algorithm shows energy savings of 15 – 50%. Additionally, the controller retains the energy saving Title 24 fan cycling feature, and the other features of the KE2 Low Temp + Defrost.